About 120 ramblers turned up for this walk. 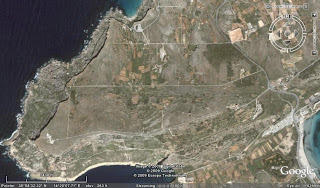 For more photos as well as a GPS analyses of the walk go to http://www.alanbonnici.com/photos/20091025.asp. (GPS link at bottom of page).